Everyone wants a beautiful smile. At Sage Dental, we will take care of unsightly and uncomfortable issues in your mouth to keep you smiling. Procedures often begin with x-rays, photos and impressions so that we can consult with you on the most effective options for improving the appearance of your teeth. A crown covers and strengthens a damaged tooth and can improve its appearance, shape or alignment. A crown can also be placed on top of an implant to provide a tooth-like shape and structure for function. We use crowns to replace a filling when there isn’t enough tooth remaining, protect a weak tooth from fracturing, restore a fractured tooth, cover a dental implant or root canal, improve the color and shape of a tooth. Sage Dental will match the crowns to the natural color of your teeth or provide you with gold crowns. 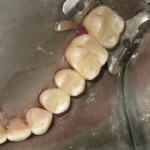 A bridge is made up of two or more crowns to fill a gap created from multiple missing teeth. 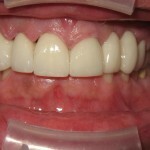 Veneers are an alternative to Crowns when you want to improve the shape or color of your teeth. The procedure at Sage Dental involves planning, design and implementation with you to make sure that we are giving you a smile you are happy with. We will work with you to take molds, select color and make sure your veneers fit comfortably. 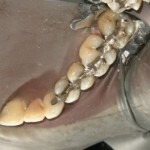 Sage Dental will replace old silver fillings with new, tooth colored restorations. 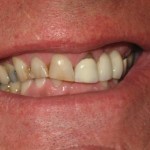 As you age, your teeth will naturally yellow and darken. Professional teeth whitening from Sage Dental will brighten and whiten your smile much more quickly than at-home solutions. We apply a stronger whitening agent than over-the-counter solution which speeds whitening and will keep the brightness lasting longer.